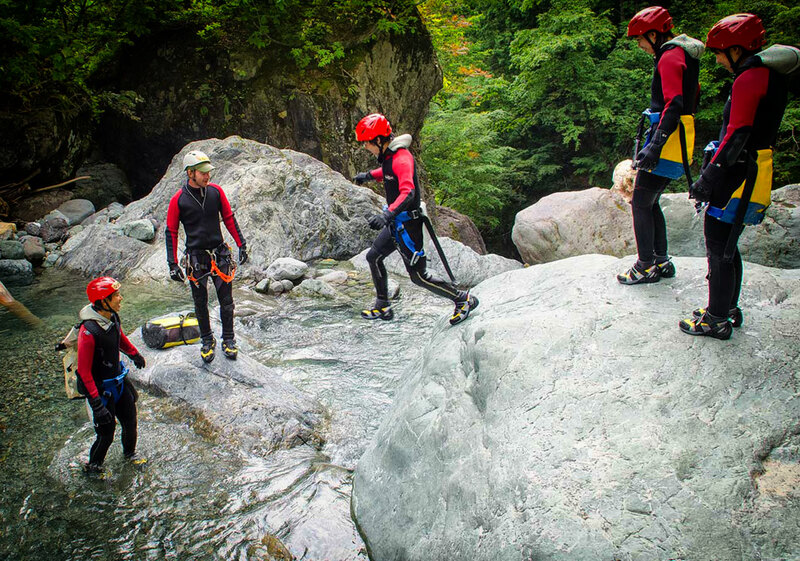 Overview of canyoning and what it is. 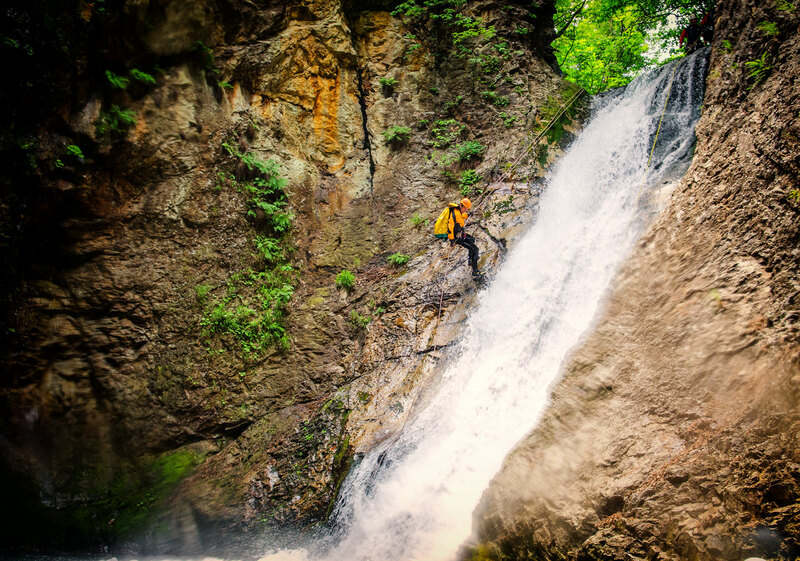 Canyoning (also known as canyoneering in the USA) is now one of the most popular outdoor sports that you can do. 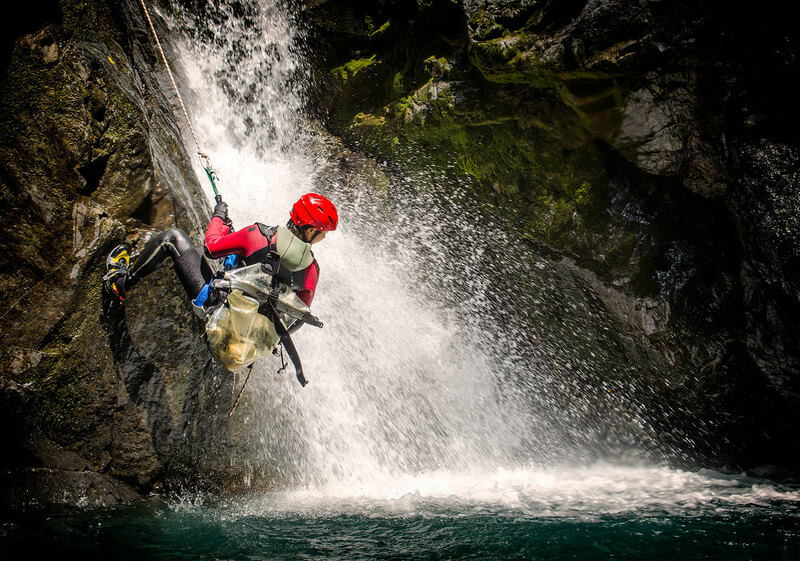 When canyoning, you run, swim, climb, slide, jump and abseil through a canyon or gorge. Canyons are a beautiful and unique environment which are normally not visited. Besides enjoying the nature, the combination of height and water brings a degree of excitement to the sport. Canyons can be found in most countries located in mountainous regions. Depending on the altitude and type of rock canyons occur in a great number of different forms and styles. Some canyons are for example very wide and shallow (open). You also have canyons that are very narrow and very deep (closed or slot). Because of the height creates waterfalls and pools of water. The steeper the canyon, the higher the falls. Most canyons are slightly narrower and have more height. And if there is water in it then it can go down a lot harder and more fun. Every single canyons is unique and every trip is different. Wetsuit: A kind of wetsuit that keeps you warm and you from bumps. Helmet: Protects you from falling against gesteent and if you fall itself. 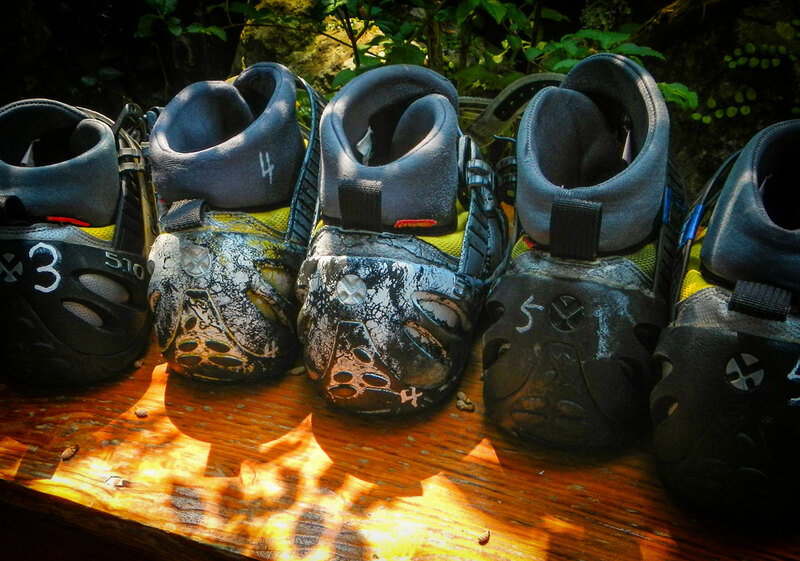 Shoes: To protect your feet and ankles and ensure good grip on the rocks. Harness & Equipment: To abseil (descend on a rope). Rope: To be able to descend an abseil. Knowledge: To be safe at all times. Going through canyons you will encounter different obstacles. A large bolder, a steep slide, small waterfalls etc.. Each obstacle requires a different technique to pass through. You will be walking on wet, uneven, sloping rocks and sometimes even old trees and sand. The bottom can also be very slippery from algae or moss, so there is most likely spots where you will slip. In order not to slip, you’ll need to walk carefully. There will be times where you have to use your hands as well in 4WD mode. In many canyons you’ll come across boulders and high walls you will need to climb. Most climbing is fairly basic, but some technical canyons will require proper climbing technique. If you can not climb, slide or jump down, then you will need to abseil. Abseiling (also know as rappelling) is a simple technique that allows you to lower yourself down on a rope using a harness and a descender. 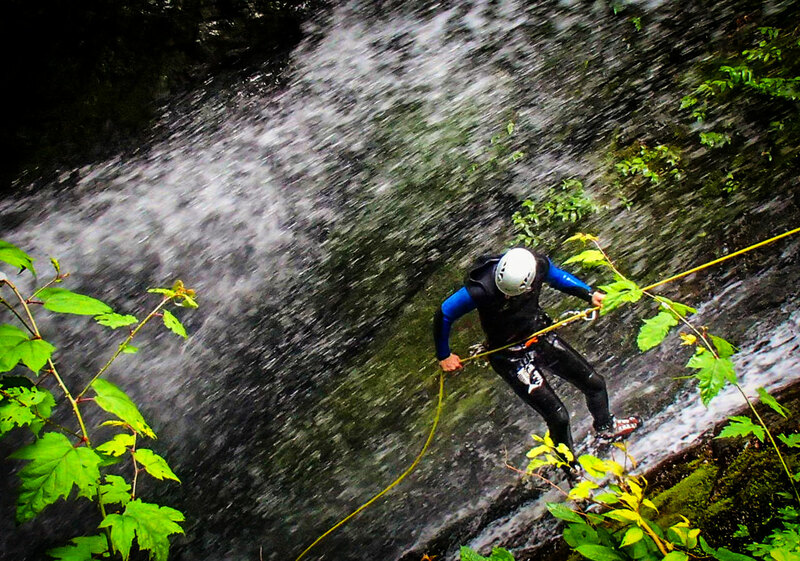 Abseils can be short and be very dry, but some abseils can also pass through waterfalls and can be hundreds of meters high. Some canyons have long stretches of water and some with deep pools of water where you will have to swim. Your wetsuit will help keep you buoyant. In calm water swimming if fairly easy but if the flow is very fast moving or tending towards low level rapids then a proper swimming technique will need to be used. Some canyons have ​​a natural slide where the rock is completely smooth and ends in a deep of pool water. The steeper, smoother and above the slide, the faster you go! Always learn proper technique before sliding. When the canyon pools are deep enough, sometimes you will be able to jump into these pools. The height can vary from a few meters to tens of meters high. It is important that you practice good technique for jumping especially from high areas. The above text is intended to an overall impression. 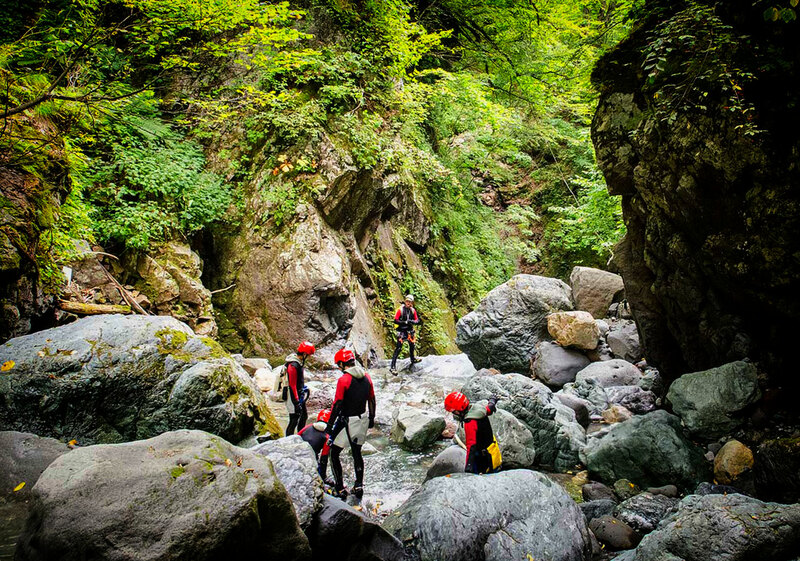 Only go canyoning with good guidance or with sufficient knowledge and experience! There are many professional guiding companies with many years experience which can take you on several courses before you venture off on your own discoveries.